Have you ever heard of the Helichrysum Plant? It is part of the sunflower family and includes about 600 varieties. This mostly yellow flower is native to the Mediterranean and is mainly sourced from Northern Italy. It’s one of those forever beautiful flowers that retain its color even when dried out. It has an unforgettable musky, slightly honey note but has a sort of sweet strong smell like wild sage. It is also used to make an amazing essential oil for skin and can help with overall healing, appearance of skin tone, age spots and discoloration due to the diketones it contains. 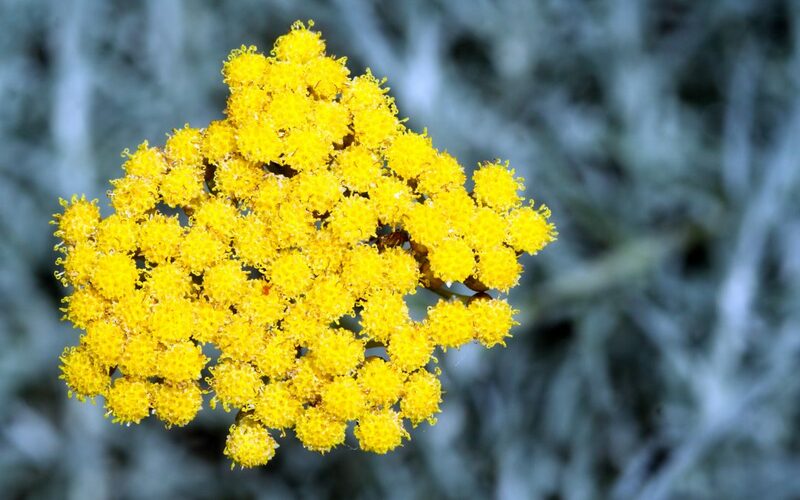 Immortelle is said to be the perfect addition to skincare formulations for those of us who have sensitive skin and this is because the oil from the flower is so gentle. As our skin gets dryer and we move into the colder months, immortelle is the perfect choice to add into your skincare regime because of its enhancing ultra – moisturizing and anti-aging capabilities. I think this is also a great oil for athletes too, as it’s known to help you recover from sore muscles pretty quickly! Give it a try. You can find the plain essential single oil on edensgarden.com.